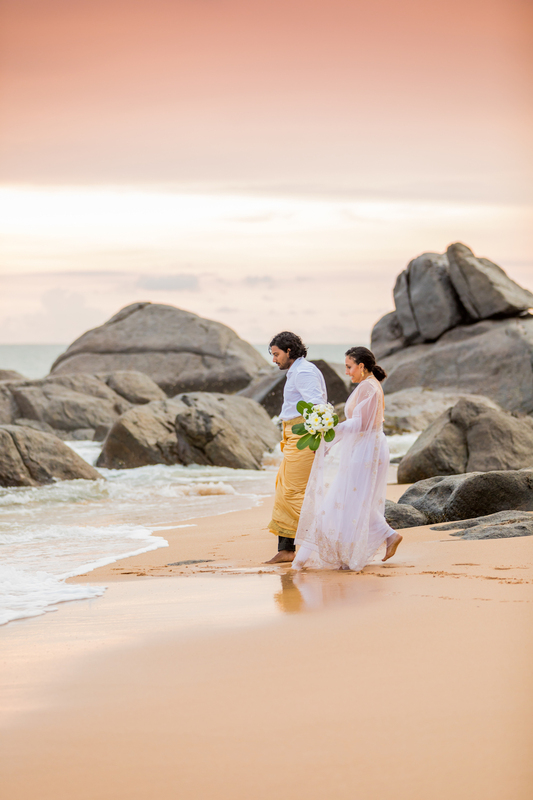 Dreaming of a magical destination wedding but not sure which destination to pick? 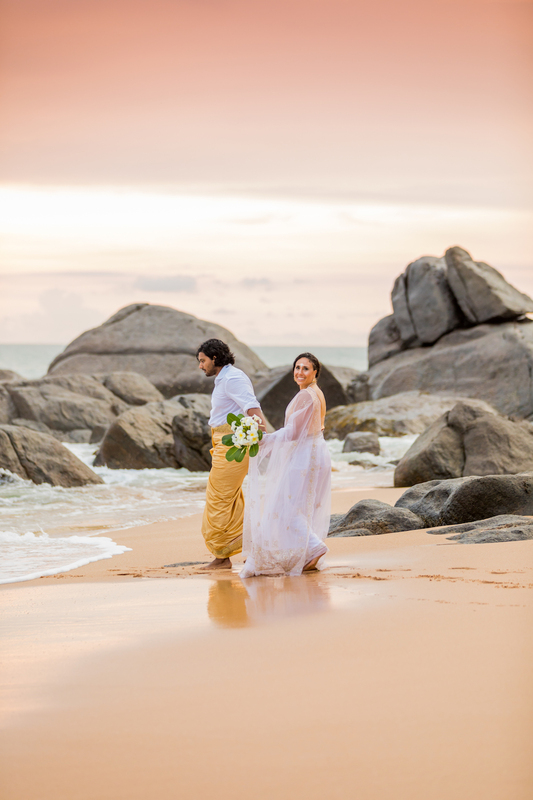 There are so many exotic options for couples, that narrowing down locations can become stressful. 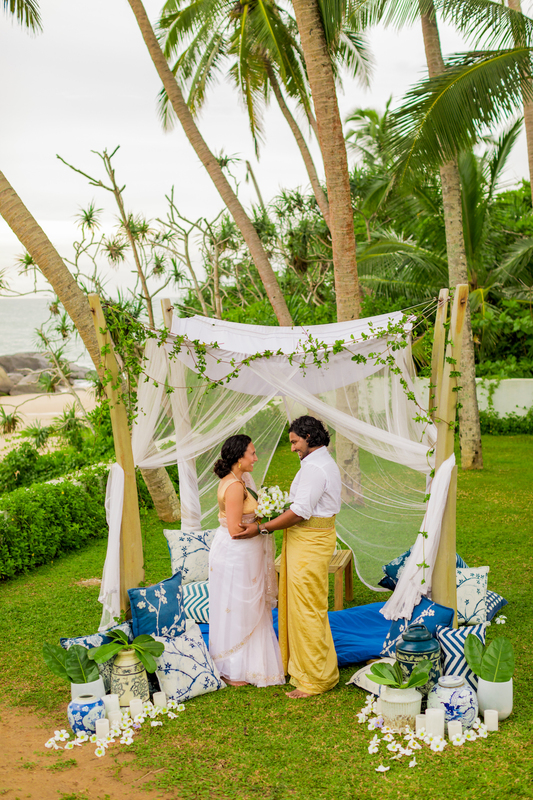 We wanted to give you a look at Sri Lanka and all its beauty! 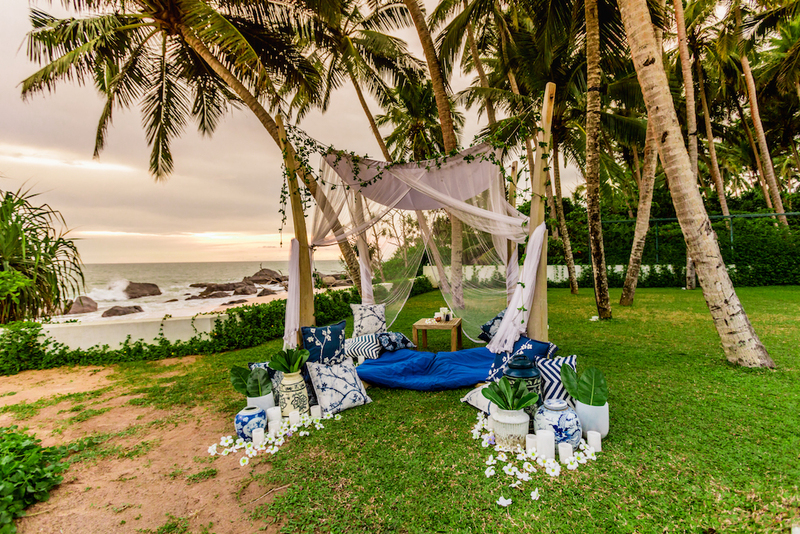 Jasmine Vine is a destination wedding and event company based in Sri Lanka and the US. 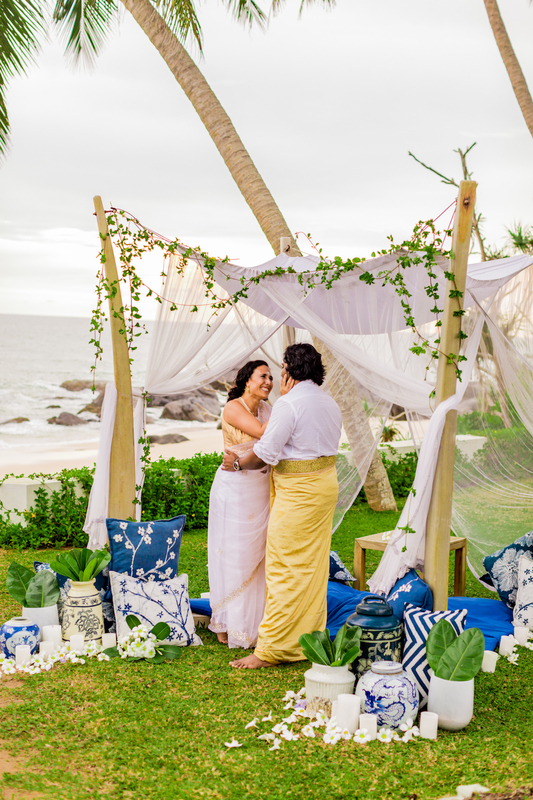 From a romantic wedding for two to a lavish wedding or social celebration with hundreds, Jasmine Vine designs, plans, and coordinates chic and elegant events that are unforgettable. 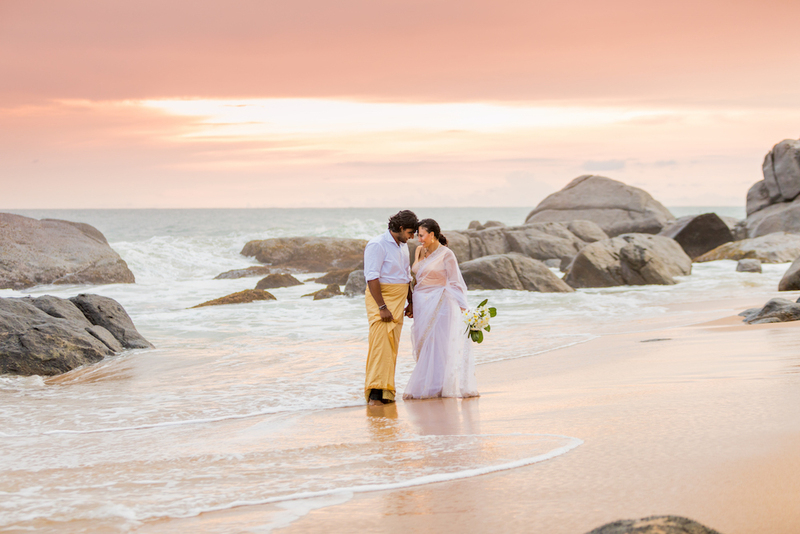 The Southern tip of Sri Lanka is known for beautiful beaches and jaw-dropping sunsets. 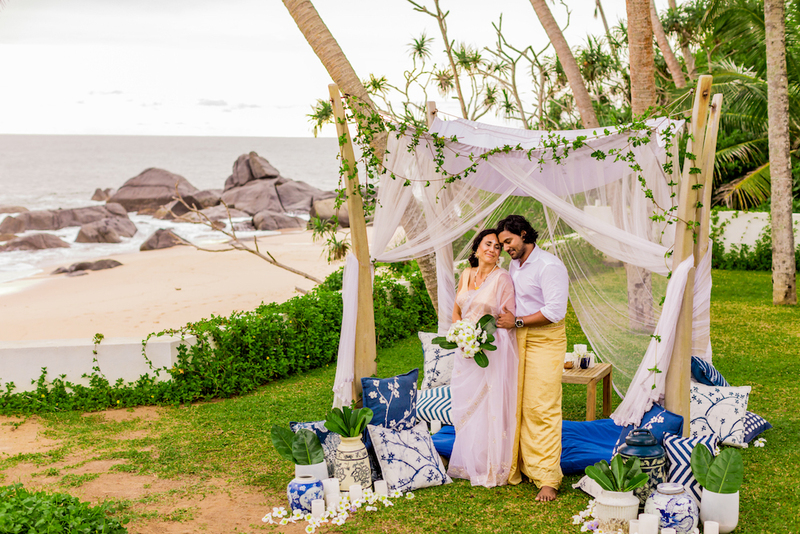 So naturally, the ceremony site was inspired by the influences that have made Galle a multicultural hub for centuries – with Arab and Chinese traders using its ports on their maritime trade routes. Keep scrolling to see all of the beautiful pictures! 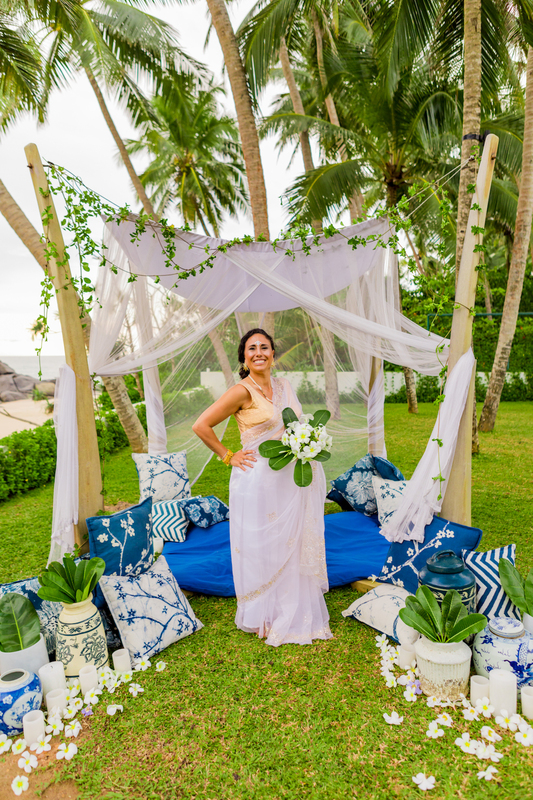 The Bride carried a bouquet made of Araliya (frangipani) blooms and greens. 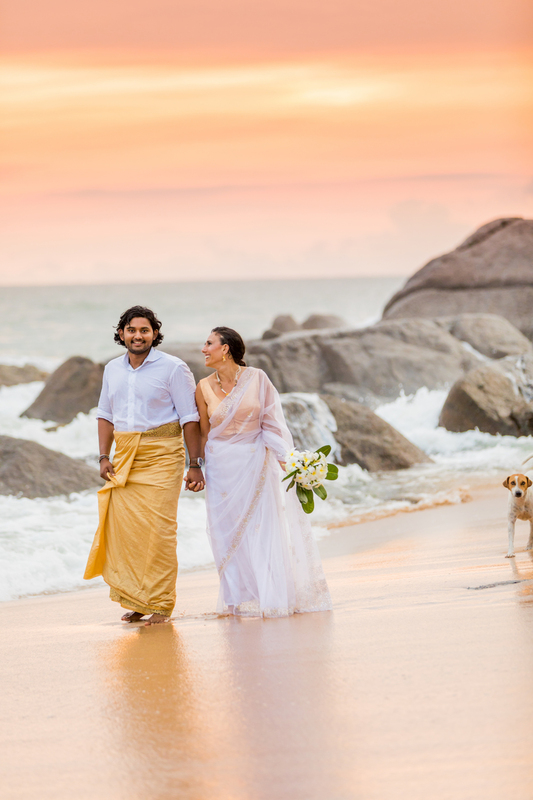 Araliya blooms are a common element in Sri Lankan cultural and Buddhist religious life. This couple is absolutely lost in the moment! 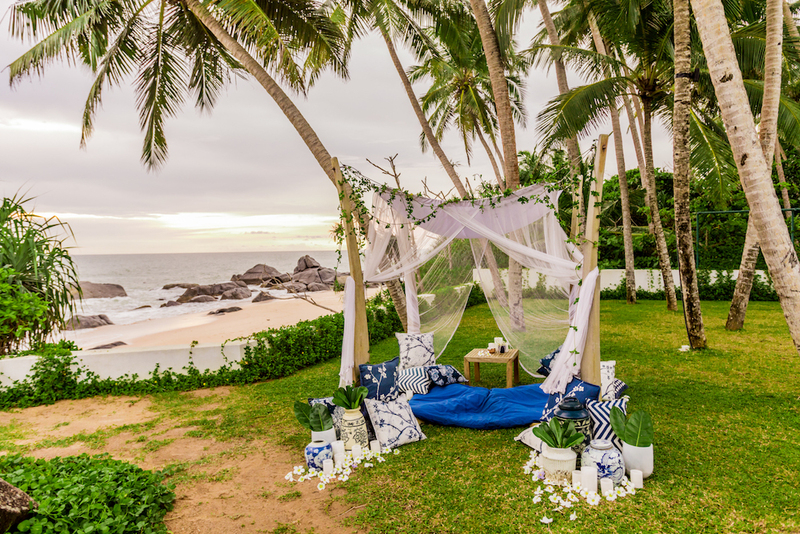 Such and romantic and intimate setting for love. 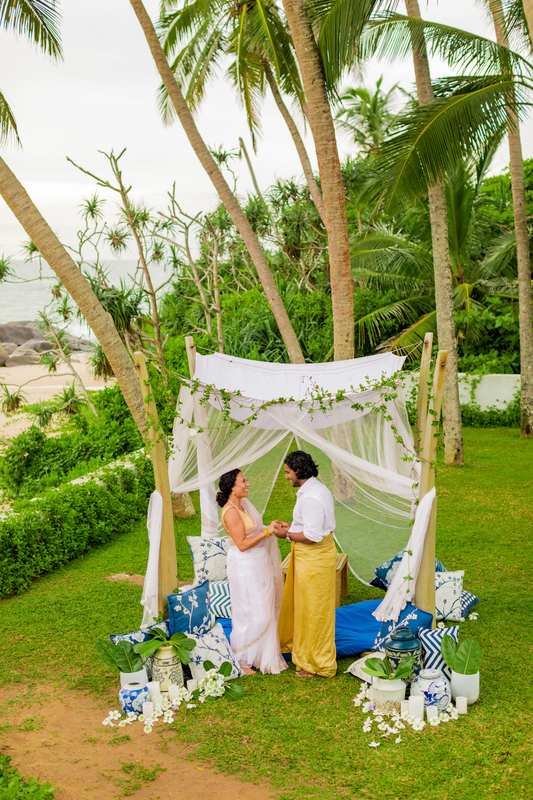 The lush gardens at Kumu, with the beach, as a backdrop was the perfect place for an intimate wedding ceremony. We spy a four-legged cutie in the bottom right! All the heart eyes. Beautiful moments like this will last a lifetime.